Includes some history of the coronation. Teresa Vanderburgh was one of St. Catharines' most prominent musicians and teachers for many years. 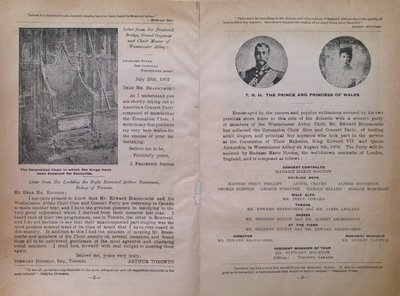 The scrapbooks contain newspaper clippings, musical programs and pamphlets for St. Catharines and other places of interest to Miss Vanderburgh. She died on January 15, 1941.